In the history of the galaxy, there are always those who strive for fame and power no matter what the cost. It is this sort of mentality that has caused the unnecessary slaughter of innocents since the ancient times on Earth, when continental tribes battled over control of planet destroying weapons. It is our goal to prevent the unnecessary loss of innocent life in any way we can. What follows are some guidelines the should be used by all member of The Omnipotent Eye. Do what is in your power to help fellow guild members. If they don't know how to do something, teach them. If they need combat support, provide it. Fair and truthful dealings is expected by everyone in the guild. It is also expected by anyone dealing with the guild. If you offer a reward for help, do not back out or the deal. At the same time, if you witness someone ripping off a guild member, report them and they will be blacklisted. Priority is to the guild, but do not neglect non members or other guilds. Help them if it is convenient and does not cause you or the guild any unwanted effects. In any organized community there has to be leaders. In The Omnipotent Eye, we simply follow the rank structure presented in Earth and Beyond. What follows are the different ranks, their responsibilities, and how to progress up the chain. Guild Leader - There is only one guild leader. The responsibility of the leader is to manage everything concerning the guild. The leader is the final word in everything concerning the guild and settles any dispute that cannot be settled at lower levels. Guild Officers - Officers in the guild are charged with helping fellow members reach their goals. Their role is mostly administrative. Helping organizing guild events, settling disputes amongst members and recruiting new members into the guild are a few of their responsibilities. Guild Sergeants - Sergeants in the guild are the meat of the guild. They are the ones that take what the leader and officers put out to the guild and make sure that it happens. They are the ones that actually monitor guild events, group with fellow members on a regular basis to accomplish goals, and also settle disputes among guild members. Sergeants are like officers, only more hands on and less administrative. Guild Members - A members responsibility is to support other members and recruits. Help one another to gain levels, finish missions, or do whatever individual goals one might have. It is encouraged that members try and obey what sergeants and officers tell them, but unless it is a direct order, it is not required. Guild Recruits - A recruits only responsibility is to prove to the guild leadership that they can be a contributing member of the guild. This could take a few minutes to a few days. Only the guild leader can promote someone from a recruit to a member, but anyone can recommend it. Rank is given based on the needs of the guild and the contributions of the player. If the guild needs more sergeants, then expect to see a sudden uprising of promotions. If officers start to outnumber members, then expect to see some demotions. Always remember that promotions and demotions are never based on personal feelings, rather, they are based on the needs of the guild as a whole. The Omnipotent Eye is by no means a military organization or some sort of socialist republic. The rank structure is in place mainly to provide a means of communication so that everyone can get their voices heard. Please follow the chain of command for any in game issues. The leadership is also not designed to give out orders constantly to lower ranking members of the guild. As with all guild guidelines, if you witness someone abusing their rank please report it to someone higher up the chain. The guild leader has an open door policy and you are always welcome to bring issues to her when needed. 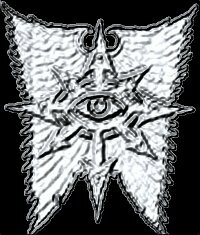 This concludes the original guild charter. Remember that it is an evolving document and could change on a daily basis. Feel free to offer your opinion by posting on the forum or emailing Lillith, the guild leader at omnipotenteye@cox.net.